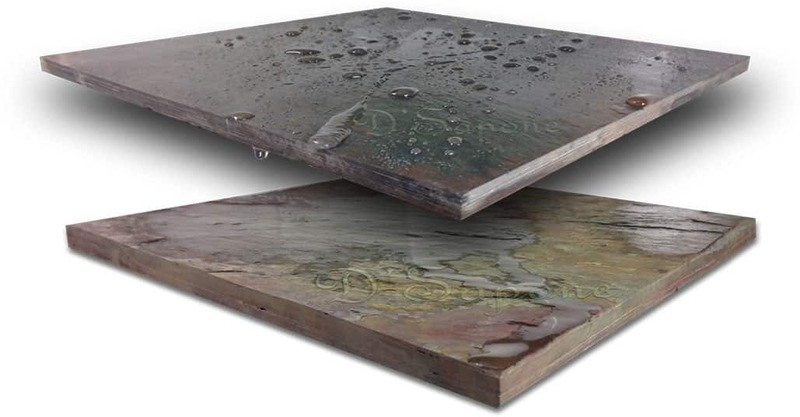 The moment we complete sealing your slate restoration in Nassau using Celine – a solvent clear topical sealer, its marvelous colors come to life with end-to-end protection. Each distinct color stands out of the stone in precise detail. Besides a stunning adhesion, it averts slate dust from shedding, delivering it a unique look. 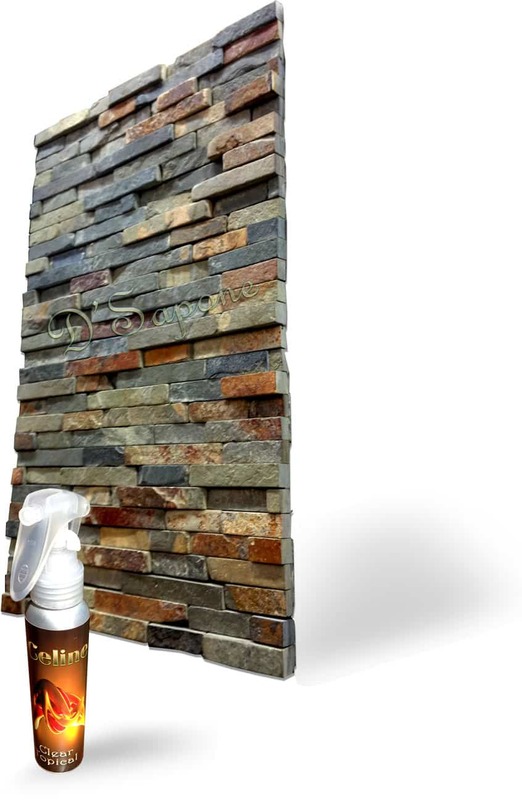 The moment we complete sealing your slate with Celine – a solvent clear topical sealer, its marvelous colors come to life with end-to-end protection. Each distinct color stands out of the stone in precise detail. Besides a stunning adhesion, it averts slate dust from shedding, delivering it a unique look. cleaned with a green cleaner. 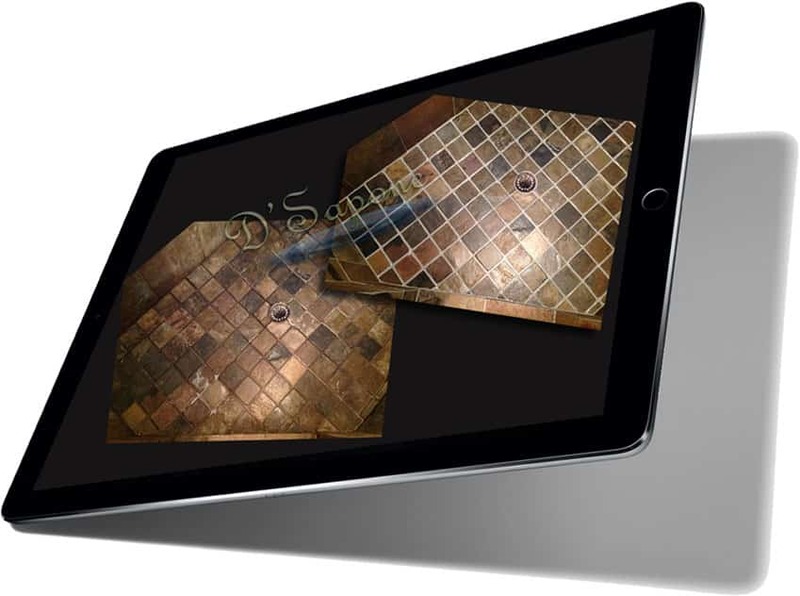 Our recommendation will help you receive a worthwhile slate restoration with D’Sapone. We initiate our slate restoration processes by cleaning slate tile and grout. Slate grout sealed with titanium. Our artists weave magic into the stone with the correct pFOkUS® products. 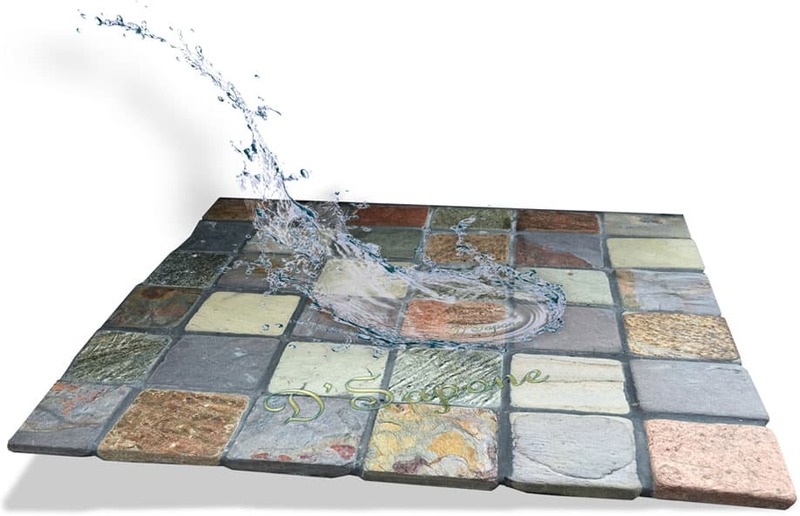 pFOkUS® has a varied range of pigmented grout seals that encrust the stains in one coat. 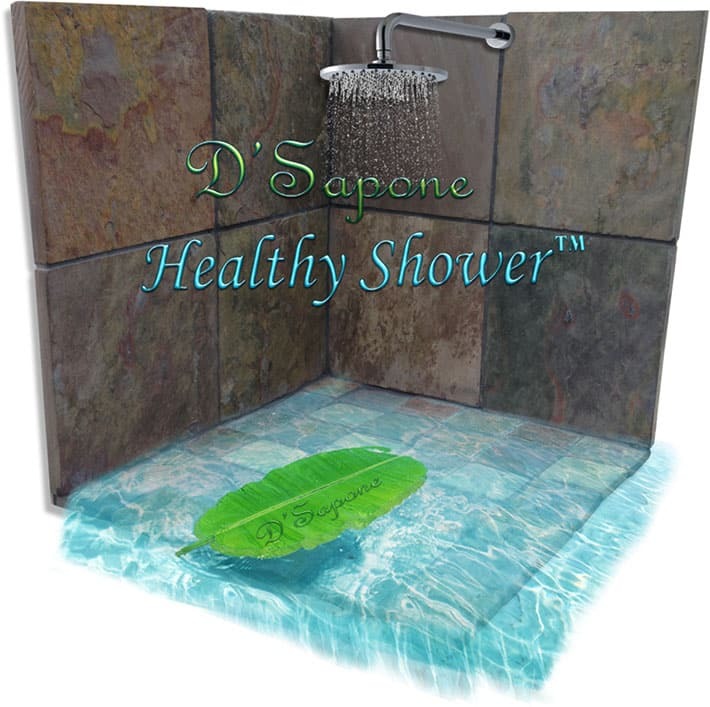 D'Sapone®’s grout coloring process has 5 years of labor warranty in showers and on floors. The sight of cracked grout is indeed ugly and it worsens as it unfurls around the entire floor. Grout cracks due to the substrate below the slate or stone movement. We prevent future cracking by filling grout with a flexible resin/epoxy. 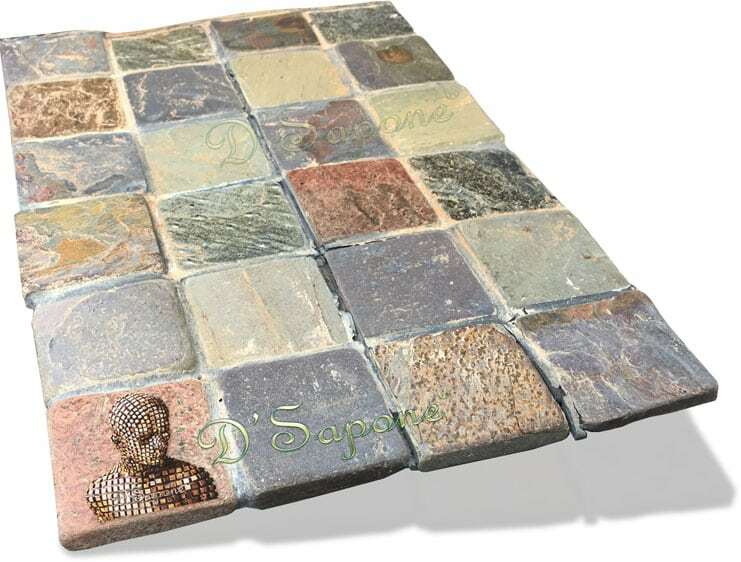 Imagine a renewed slate surface with a stain free grout. 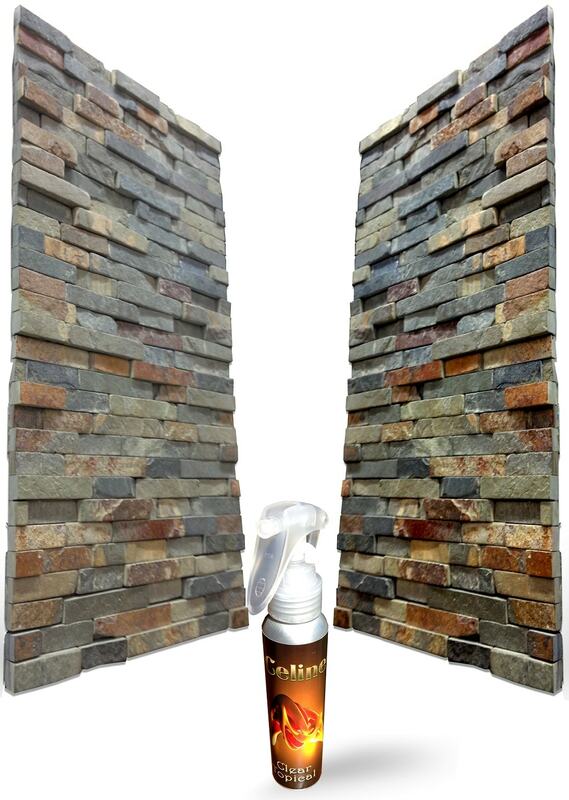 Once we thoroughly clean the stone surface, we seal it with a natural look sealer- Repela Bond. Once we restore the stone, you can easily maintain it with this water based sealer. Futuristic protection with revolutionary sealer – Celine. A clear topical solvent that keeps your slate unsullied. The top slate tile in the image is sealed with Celine and the bottom is unsealed. Cracks on your slate are a depressing site as it diminishes the value of our floor. Our artists perfectly seal the cracks with a pigmented sealer. Opting for the right slate process has been a task- until D'Sapone® introduced ‘Healthy Shower’ for slate showers. 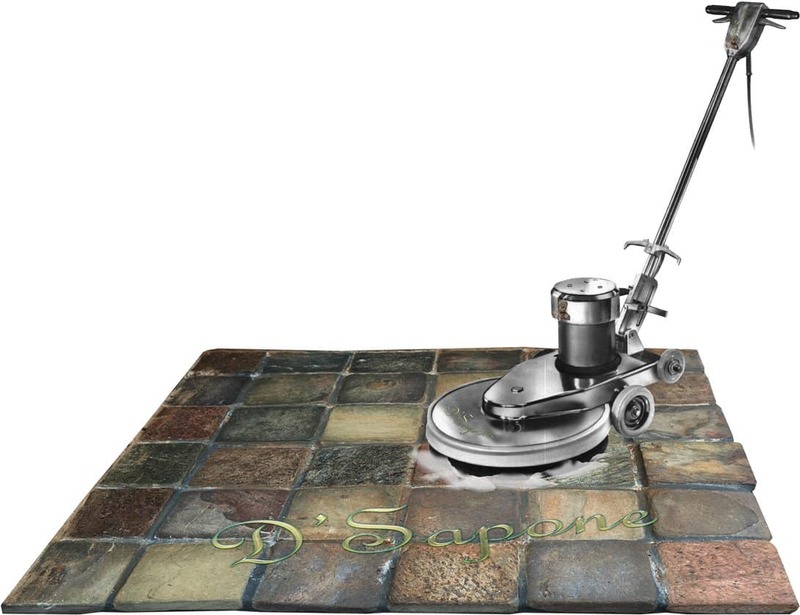 An all inclusion service of sanitizing and sealing the stone and grout. Our artists in Nassau knock out the caulk and deliver astonishing restoration services. D’Sapone slate restoration in Nassau. Our artists restore your stone, making you the proud owners of your slate. 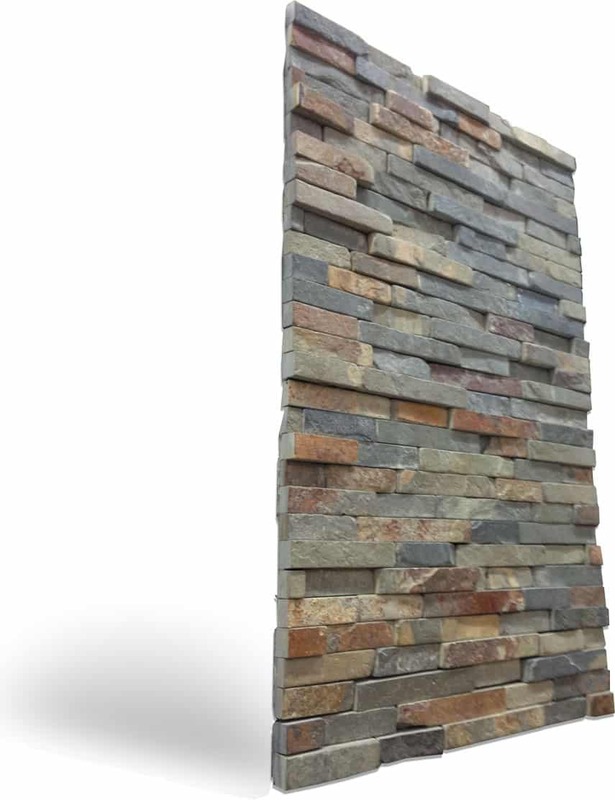 Our services for slate restoration in Nassau will deliver you a brand new stone, free of cracks and stains. Click the link below and a slate restoration artist will be assigned to your job.